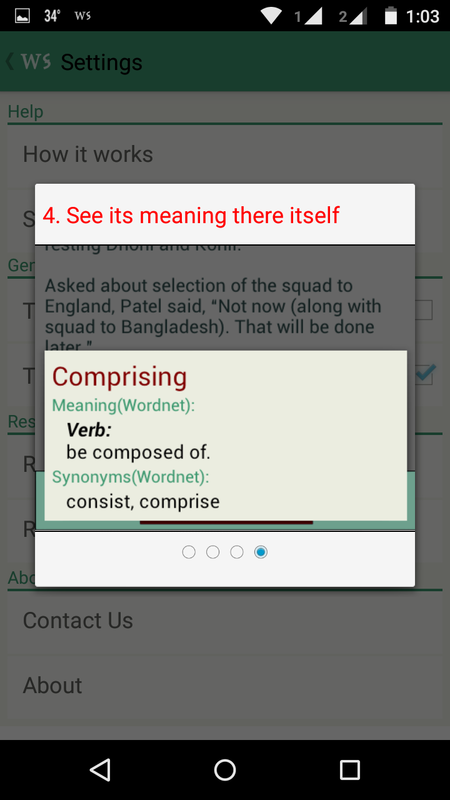 Word Snitch is a great app that can help you know the meaning and synonyms of any simple, complex word without going to other dictionary app to find out the meaning. Also read : Turn your Smartphone into scanner with these apps. It is pretty easy to use, just install the app and copy the unfamiliar text and see its meaning instantly. 1. 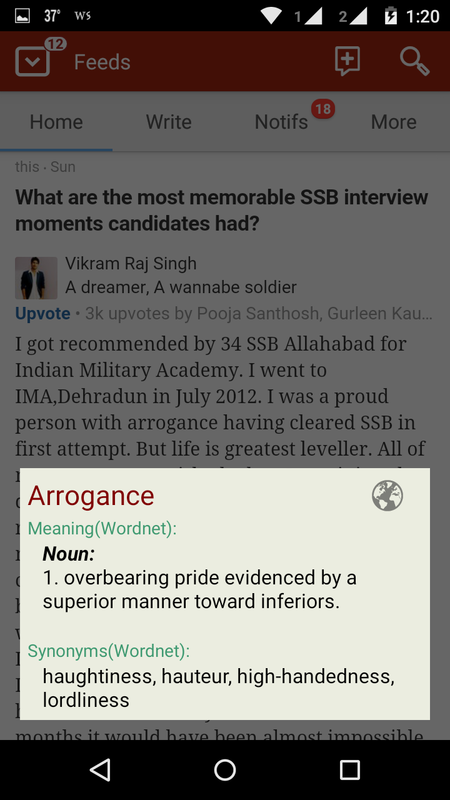 Time saving Dictionary : Shows meanings of word on the app itself. 2. Word Snitch works offline. 5. Save sentences while reading. 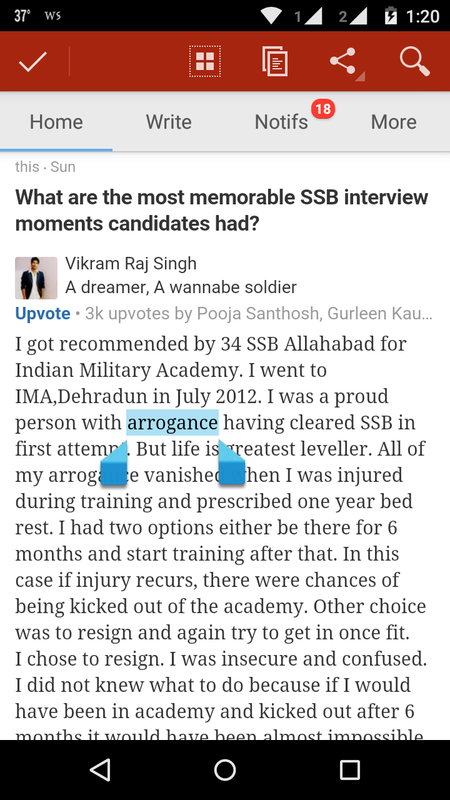 Best thing about this app is its simplicity and words are saved and can be used for future use.